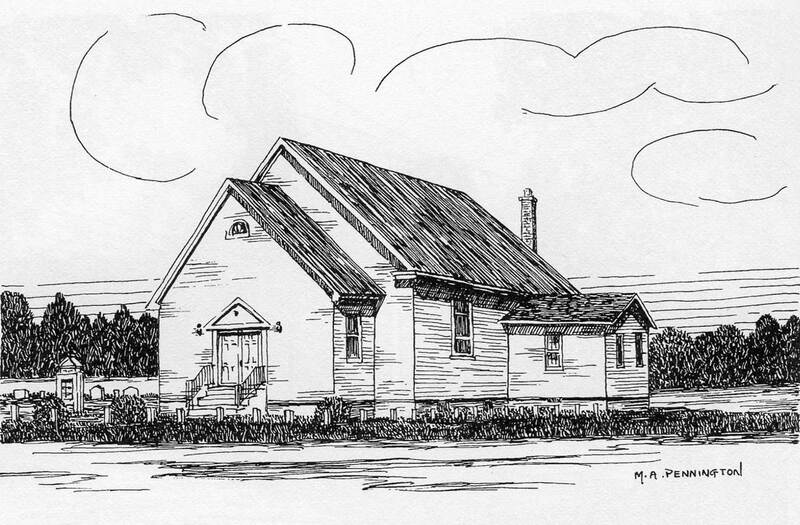 Buckingham Churches: Chestnut Grove Baptist | slate river ramblings . . . .
Nineteen Buckingham County churches were referred to in Thomas Baldwin’s Gazetteer of the United States (1854). Thus far, fourteen likely candidates have been identified. Here’s number fifteen — Chestnut Grove Baptist Church. In 1828, the Appomattox Association minutes recorded the first official meeting of Chestnut Grove Baptist Church. In 1831, the congregation of thirty-one members joined with other Buckingham County churches in the James River Association. Over the years, the church building has been expanded. Today, the original building is the sanctuary. Two volumes of the church’s records, covering 1881-1950, are available on microfilm at the Library of Virginia. To read previous posts featuring Buckingham’s mid-19th century churches, just type Thomas Baldwin in the search box and enjoy the results! Coming next: Rev. Poindexter P. Smith, pastor, Chestnut Grove Baptist Church. ← Buckingham Mystery: The Enigmatic W.B.M. Do you recall our passing by Chestnut Grove? Yes. We’ve had so many memorable adventures in Buckingham and beyond! Chestnut Grove is my childhood home church. I joined in 1957 during revival and was baptized in the Appomattox river by Rev. Dott Bryan. It’s a beautiful church and is still very active. I have seen the church records on microfilm at the LVA and they were great to see. My mother, father and two uncles were all baptized on the same date which was August 13, 1939. I saw where my O’Briens, Chernaults, Harris, Sengers all became members. There was also a cute note regarding a disagreement between a Woolridge and my Chernault ancestor and the church asked the Woolridge to apologize who said he would rather be dismissed from the church than to have to apologize and he was dismissed. Interestingly, there seemed to be double the female membership in the late 1800s.